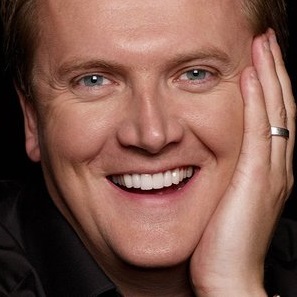 Aled Jones MBE has been a household name since the 1980's. He will forever be remembered as one of the world's most successful boy sopranos. He made his professional debut as a twelve year old performing the role of the Angel in Handel's Oratorio ‘Jeptha’ on BBC2 and BBC Radio 3. The next four years were a whirlwind with TV performances galore (he holds the record for most appearances on the Wogan television show). He was invited to record three flagship TV programmes for the BBC from Israel. These programmes were huge hits and the resulting two album releases sold over a million copies. At one point both albums were in the top five Official UK Album Charts. It was only Bruce Springsteen's album 'Born in the USA' that kept him off the top spot! He performed countless concerts as a boy soprano all over the world including a spot at the Hollywood Bowl and sharing the stage with maestro Leonard Bernstein. Singing the 'Chichester Psalms' with the composer conducting was a huge highlight. Aled had already released twelve albums by the time “Walking in the Air”, the song from the animated film The Snowman, was released. The record reached number five in the UK charts in 1985. He also performed ten sell-out live 'Snowman' shows that year. Jones’ recording career was temporarily halted when his voice broke age sixteen. By this time, he had recorded sixteen albums, sold more than six million albums, and sang for Pope John Paul II, the Queen and the Prince and Princess of Wales in a private recital, as well as presenting numerous children’s television programmes. Between the age of sixteen and eighteen Aled toured Japan with the Vienna Woods Boy’s Choir. Aled's boy voice had gone, so instead he narrated live Humperdinck's opera ‘Hansel and Gretel’, in Japanese! He was mobbed everywhere he went in the country. During this period twelve albums were released selling in excess of two million copies. He went on to study at the Royal Academy of Music and Bristol Old Vic Theatre School before being asked to perform the role of Joseph in Andrew Lloyd Webber’s ‘Joseph and the Amazing Technicolour Dreamcoat’. Aled was offered presenting roles on BBC Radio Wales (a show he still presents fifteen years on) as well as a TV role for the welsh-speaking channel S4C. He was also approached about a presenting role on the BBC’s ‘Songs of Praise’. In 2002, Songs of Praise asked Aled to sing on the programme. This led to the release of his first, real adult album entitled ‘Aled’ that went to number one in the Classical Charts. The following year Aled was approached by 'Classic FM' radio and offered a two-hour Sunday morning programme which become a hugely popular show. Aled released another album entitled ‘Higher’, which also topped the classical charts. He followed this up with an album of carols, which sold in excess of 400,000 copies. Aled was also the subject of the last ever ‘This is Your Life’ on the BBC and was surprised on stage at the Royal Albert Hall during the filming of the ‘Songs of Praise' Big Sing. In 2004 Aled was a contestant on the second series of ‘Strictly Come Dancing’. He made it through to the semi-final of the competition and cites dancing a Samba to the Tom Jones hit 'It's Not Unusual' in Blackpool's famous Tower Ballroom as a real highlight! Aled was approached to join BBC Radio 2 to present their live flagship Sunday programme ‘Good Morning Sunday’. He also became one of the main presenters of the legendary Radio 2 programme 'Friday Night is Music Night', as well as sitting in for regular daily presenters Terry Wogan, Ken Bruce and Steve Wright. In addition to this Aled was given his own BBC Wales chat show and also became the presenter of BBC Radio 3 Programme ‘The Choir’. Aled has since left BBC Radio 2 and BBC Radio 3 and has returned to Classic FM, where he presents his own Sunday morning' show from 9am to midday. With listening figures in excess of 1.1 million it's the most listened to single show on the network. He also stands in for regular weekday presenters John Suchet, Anne-Marie Minhall and Tim Lihoreau on 'Classic FM'. 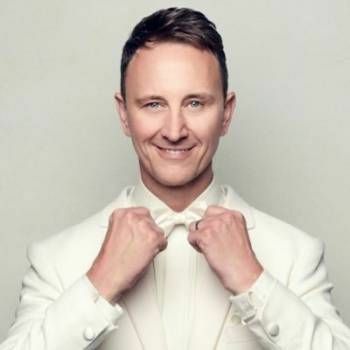 In 2008 Aled took on the lead role of Caractacus Potts in ‘Chitty Chitty Bang Bang’ in Cardiff to great acclaim and in 2009 he joined the cast of Irving Berlin’s ‘White Christmas’ in the starring role and played in Plymouth and Manchester. Aled returned to 'White Christmas' to star in London's West End at the end of 2014. The show was a sell-out. Aled has also released two singles with Sir Terry Wogan in aid of the 'Children in Need' appeal. He currently has a total of thirty albums to his name – selling over seven million copies to date. Aled has written three books entitled ‘Aled’s Forty Favourite Hymns’ which was published towards the end of 2009 as well as a book on his 'Favourite Christmas Carols'. His autobiography called 'My Story' was re-published in 2013. Aled has presented ‘Escape to the Country’ and ‘Cash in the Attic’ for the BBC and in 2012 Aled was asked to take on the co-presenting role with Lorraine Kelly on ITV's breakfast show 'Daybreak'. Aled left in 2014 to host his own TV show called 'Weekend' every Saturday and Sunday morning on ITV1. 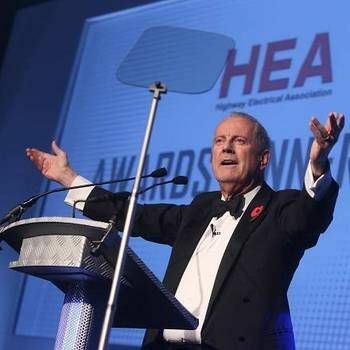 Aled is an experienced host of awards ceremonies and a brilliant presenter so if you are interested in Aled appearing at your Conference, Dinner or Event, please contact a Prime Performers Booking Agent on 020 7251 8222 to discuss your requirements. Presenter of Strictly's It Takes Two and one of the original dancers from The BBC’s hit show Strictly Come Dancing. 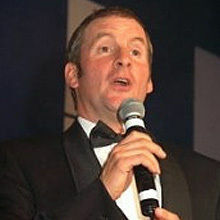 Comedian and presenter best known as Gordon Brittas in “The Brittas Empire” and Rimmer from “Red Dwarf”. Probably the best after dinner speaker in the country.